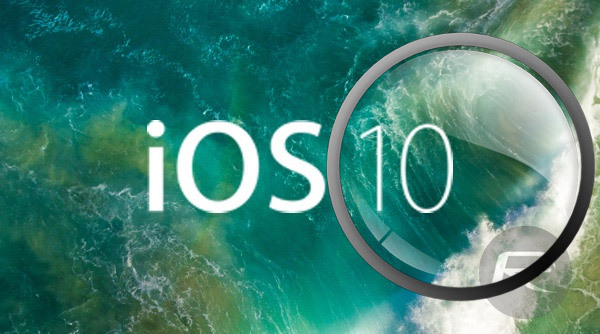 Apple may have only released iOS 10 five months ago, but it is already installed on the vast majority of iOS devices with which it is compatible. According to new figures released by the company, nearly 80% of devices are already running some flavor of iOS 10. Beyond iOS 10, those holding off upgrading to the latest and greatest version of the iPhone and iPad operating system are likely using iOS 9, with 16% of devices presently powered by some form of the software. Bringing up the rear is a relatively small 5% of devices which are running any version of iOS prior to iOS 9. Compared to iOS 9, the numbers suggest that adoption of iOS 10 is slightly outpacing the software which it replaced. 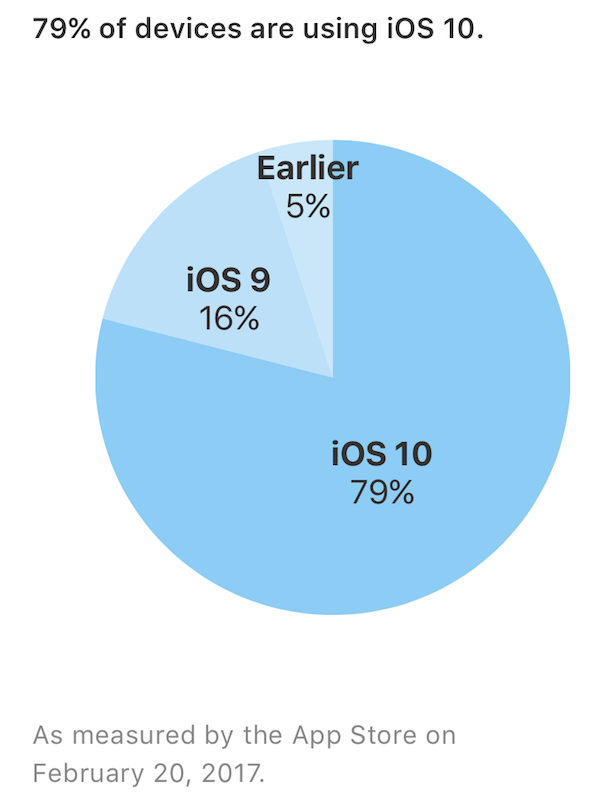 At the same stage of iOS 9’s life cycle it accounted for 77% of devices on which it could be used. The difference between the two results is negligible to say the least, though it is possible that iOS 10 will see an uptick in installations once iOS 10.3 firmware ships. This software, while not a huge update, does include new features such as Apple’s new file system APFS and the ability to locate AirPods should they go missing, among other things. Apple’s tight controls over both the hardware and software which goes into an iPhone or iPad has long been the main reason that it enjoys such high adoption rates for its major software releases such as iOS 10. Users of Apple’s devices have historically jumped on software updates with abandon, though a string of high profile issues following major software releases may have been expected to curtail that enthusiasm. Recent releases have seen users’ devices refuse to fully register, leaving them locked out of their iPhones and iPads. 5% is over 50million units. They sold over 1billion. So that’s 50million iphones running ios 8 and earlier. I’m on iOS 9.2 and will stay, if I had it my way I would have stayed on ios 6, but the iMessage wouldn’t work with everyone else being on a later OS sadly forcing me to upgrade and brick my iPhone 5 then upgraded to iPhone 6S that came with iOS 8 then upgraded to iOS 9.2 for jailbreak and staying since iMessage still works with people on iOS 10. Why would I want a more laggy higher requirement OS? I don’t have a problem with iOS 10 and no laggy on my iPhone 6 PLUS. I don know what is your problem. What laggy are you talking about ? And nearly 1.2% running Android 7. When iOS 11 will come out you will be disconnect from all your friends. How about Android?..lol the most fragmented OS in history.